Life In Fuschia: Finally the MEC: Party Appetizers Round Up! Here it comes…. Finally the MEC: Party Appetizers Round Up! Here it comes…. Alas… all good things must come to an end! Hosting June’s MEC event has been a pleasure and I am truly amazed at all the creativity coming my way from my amazing fellow bloggers and even non-bloggers! I thank Srivalli of Cooking for All Seasons for this wonderful opportunity to host MEC. 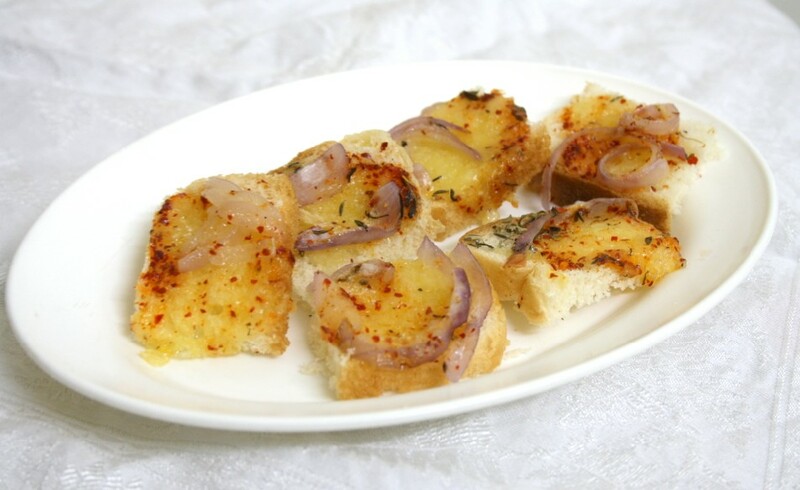 The ever creative super-cook Srivalli of Spicing Your Life sent in the cheesy goodness that are her Cheese Toast with Thyme, Red Chili Flakes and Roasted Onions. Not being part of the blogging world did not stop Rathna S Rao and Sireesha Yetchina (enterprising cooks!) 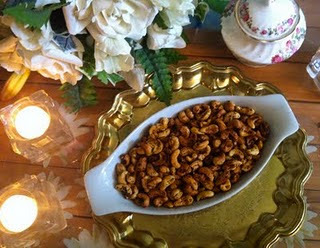 from sending in their yummy ‘party-perfect’ spiced nuts! 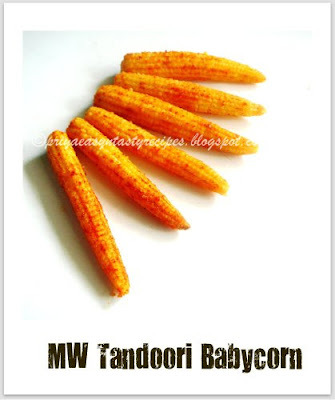 Priya from the amazing blog Priya's Easy N Tasty Recipes sent us an innovative microwave version of Tandoori Baby corn! Denny from Oh Taste and See sent an irresistible Easy Cheesy Spinach Artichoke Dip that is perfect for gatherings! 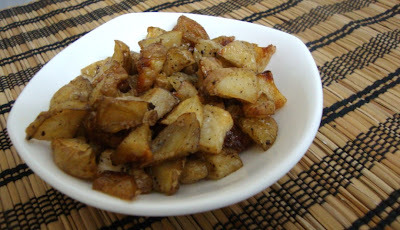 Srivalli from Cooking For All Seasons sends in a sure to please dish Microwave Roasted Potatoes with Herbs. Lata Raja from Flavours and Tastes Blogspot sent in a unique recipe for creative Microwave Potato Cups. 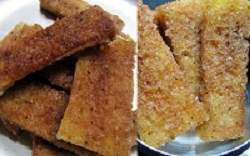 Its Dhokla Dhamaka time at Ranjani’s blog My Kitchen Trials… simple and oh so tasty! Vatsala from the blog Show and Tell simplifies the ever-delicious Kandavi aka Suralichi Wadi… Don’t miss it! Monika from Sin-A-Mon created the super easy and appetizing Bread Sticks in a Jiffy: Sweet and Savory to please all tastes! Check out The Housewife’s take on the iconic Union Square Café’s Bar Nuts at The Diary of a Displaced Housewife. There it is! I hope I included all the entries that came my way. In case I have missed out an entry do email me and I'll ensure that I include the entry in the round up too. Thank you all for participating in this event and looking forward to more MEC events with many many more culinary innovations! Lovely round up of party appetizers. All the pics look super delicious. Wow all the entries really rock!..love the pictures..will check out the recipes shortly!..thanks for hosting Lavs!